Our new online slot review covers The Sand Princess. This great release from 2 By 2 Gaming has a golden desert setting, with Arabian princes and luxurious Mughal castles and last but not least the titular Sand Princess who appears on all the reels triggering all the bonus features. Online slot games set in an exotic environment are nothing new, but they always prove popular with players who want to escape into a completely new experience. The Arabian desert setting gives the game a gold-tinged aesthetic with lots of vivid, vibrant graphics, a great soundtrack and there are plenty of bonus features to keep players entertained. This beautifully-designed online slot has 5-reels and a 30-payline format with a betting range of between $.30 and $30. The Sand Princess has a great RTP of 96.05%, and you can play it on all platforms—desktop, iOS, and Android. The High paying multiplier symbols are things like palaces, Arabian stallions, princes, potions, eagles and treasure chests. The wild symbol is the beautiful Sand Princess herself, if she lands on all the reels, you’ll win big but she’s a stacked wild on reel 3. The scatter symbol is a sand timer. Even without hitting any of special bonus features, the base game is extremely enjoyable with its excellent graphics and soundtrack. You can rack up plenty of coins in the base game without hitting any of the special features. The Arabian prince and Sand Princess symbols can multiply your line stake by 500. 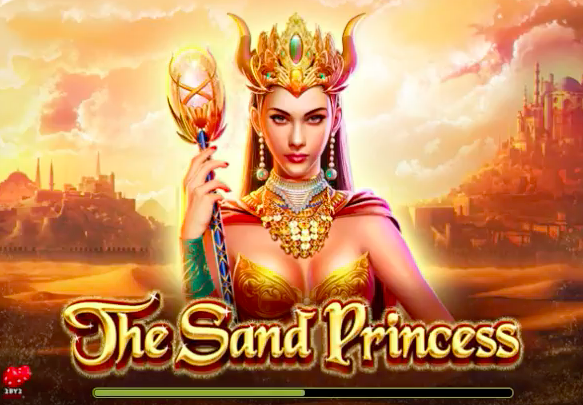 The feature rounds in Sand princess are excellent; the Free Spins round is very enjoyable. Players get a choice of 10 free spins all of which have a distinctive personality. We’ve been talking a lot about up and coming software providers and 2 by 2 gaming are exciting developers. Oddly enough, they’re based in Chicago, not a place known for burgeoning casino talent. But they’ve got a really interesting portfolio that mixes a lot of exotic adventure slot games with classic TV show slots like The Honeymooners. They don’t do any table games or live casino games, they solely focus on video slots, and they do a great job. No Wagering Requirements Casino Bonuses; What Are They?